Exercise compliance – Insights from using Yoga DVDs at home to instill discipline and motivation in patients. I leave the clinicians to work out what the best exercises are, my interest is improving compliance. Knowing exercises is one thing, doing them is another! For a few years I have had a growing feeling that I need to preserve joint mobility, particularly in my lower back! So I have toyed with the idea of doing yoga (also for a few years!). At the end of the summer I bought a box set of yoga DVDs and over the last couple of months I have started to use the Yoga videos in the morning, at least twice a week. 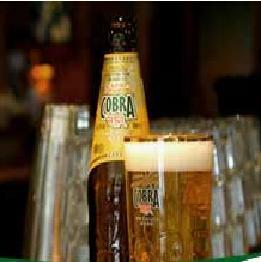 They really help and now, I would probably be happy to join a class because I understand that “Cobra” is not a beer brand we have with a curry! The point is, I did know what a sun salutation was but I never bothered doing them on my own. With the DVD there is a framework and time structure. From 30 minutes to 45 minutes. ie it’s doable and someone is there with you. Many patients leave a clinic with a set of written or verbal exercises to do. That is not going to work for most. It DOESN’T work for most people! Then tell them to do the exercises at least 3 times a week or daily or whatever is appropriate. IDEA – Why not put on a “back class” at your clinic or elsewhere, get a local videographer to record it and then give that to patients as your own-branded DVD, give complimentary copies to GPs etc etc, then who’s the local daddy?! If you do hear yourself saying to patients “do try to do your exercices” you know that most won’t bother. Try the DVD route, it can can only help and you will stand out from the masses. Steadfast Clinics is the international distributor of IDD Therapy spinal decompresion, SDS SPINA, Accu SPINA and Thermedic Infrared Therapy Systems. We’re on a pain relief mission !